Welcome to SCIU #64, for the weeks of June 29th – July 12th. 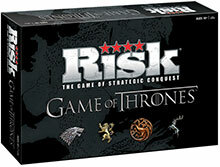 Risk: Game of Thrones – USAopoly has released final details and pictures of the latest upcoming Risk variant. In Risk: GoT up to 7 players can attempt to control map using 2 different game board maps. The maps of Essos (2 players) and Westros (3-5 players) can be played individually or combined for a huge battle. In addition there are 28 character cards which offer special abilities to the players House, which will help in battle or acquisition of victory points. Attack on Titan – Attack on Titan is one of our favorite animes, and while we’re eagerly awaiting the release of the movie Cryptozoic Entertainment have announced that in 2016 we’ll have a board game to play as well. An interesting mechanic introduced in the game is that the player controlled Titan piece is a vertical element on which the other players must climb in order to take it down. Mare Nostrum: Empires – This successfully Kickstarted game by Academy Games will see players take control the empires of the ancient Mediterranean basin. The players will be battling it out for control by managing resources in order to win by cultural development, economic grown, military power, or political leadership. This is a re-release of Serge Laget‘s 2003 game of the same name. 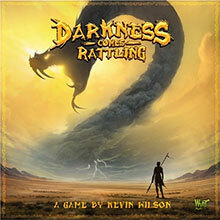 Darkness Comes Rattling – Releasing in September is this new, 2-6 player, cooperative fantasy board game by Wyrd Miniatures and Kevin Wilson. The eternal night was caused by the serpent-like Darkness which swallowed the sun, now players will assume the roles of tribe leaders in order to free the world. This is done by them exploring the world and completing challenges during their quest. AMC has just released this new trailer to give us a sneak peak of the upcoming October 11 premiere of The Walking Dead season 6. It seems Warner Bros is in the process of moving all Vertigo-based movies over to New Line, while all DC Universe content stays with them. This will see Jospeh Gordon-Levitt‘s Sandman movie being moved across, however Justice League Dark, which includes certain Vertigo characters is staying. Welcome to SCIU #63, for the weeks of June 15th – June 28th. 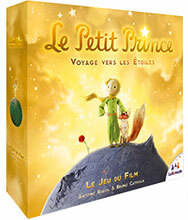 The Little Prince: Rising to the Stars – With an animated movie around the corner, Asmodee is getting in on the action by releasing this family friendly, casual game also based on the hit childrens book. Players will have to pilot their plane to a number of tiny worlds, collecting stars and stories on their way to visit the Little Prince. 2-6 players as young as 6 years old can enjoy in the fun. Tiny Epic Galaxies – Game Salute is releasing this sci-fi themed 4X game based on the highly successful Tiny Epic Kingdoms. Being a 4X game it revolves around the ideas of eXpand, eXplore, eXploit, and eXterminate. 1-5 players will battle each other in this tiny microgame in around 30mins. Ages 14+. Fantasy AGE & Titansgrave – If you are anything like us you’ve been hitting refresh on the Geek and Sundry webpage every Tuesday waiting for the next release of Titansgrave: The Ashes of Valkana. Well now Green Ronin has shared details on it’s upcoming Fantasy AGE and it’s first setting Titansgrave, which is due in August this year. It includes work by award-winning RPG writers, including Keith Baker, Matt Forbeck, Nicole Lindroos, Chris Pramas, Robert J. Schwalb, Mike Selinker, Ray Winninger, and of course Wil Wheaton. 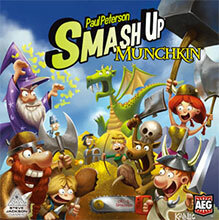 Smash Up: Munchkin – In one of the most awesome collaborations ever, Alderac Entertainment Group and Steve Jackson Games team up to bring us Smash Up: Munchkin. The game features theme art as well as two new card types: monsters and treasure cards. Each create a separate new deck which players draw from when instructed. Release is set for Gen Con this year. Designed for 2-4 players and ages 12+. Sony announced that the next Spiderman, who will appear in Civil War and the next standalone spidey movie, is to be played by 19 year old Tom Holland. Three months to go before the premier of NBC‘s Heroes Reborn, in the mean time here is the first trailer for returning drama. Look out for the appearance of Hiro! The second trailer for Blue Sky Studio‘s Peanuts animated movie has been released. It looks set to attract a whole new audience to the franchise. Take a look here. Welcome to SCIU #62, for the weeks of June 1st – June 14th. 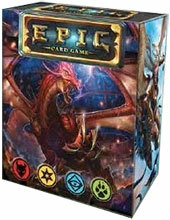 Epic – Epic is a fast paced, fantasy combat card game by White Wizard Games which is currently seeking funding on Kickstarter. The good news is though, it reached its goal is under 12 hours. Rob Dougherty, the game’s designer, has described it as having elements of Ascension and Star Realms. 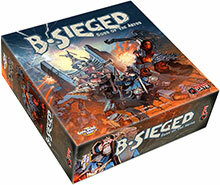 The core set is 2-4 players, but its possible to combine a second set for up to eight player battles. I Am Zombie – A horror/survival with a twist from the mind that brought you Vampire: The Masquerade and The World of Darkness. Players are self-aware, living half-deads known as Toxics. They will need to control their Odium levels stave off turning into a mindless zombie, while battling the forces of the CDC and BLEACH, a militarized disease control agency that wishes to destroy the virus and Toxics. Steam Works – Players will need to use their steampunk workers to collect components and power sources in order to build devices. These devices are then later used as action spaces for the other players. The game has good replayability due to the modular mix and match nature of the game. Designed for 2-5 players, ages 12+, and plays in 90-120 minutes. 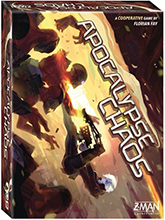 Apocalypse Chaos – This is just one of the upcoming Gen Con releases by Z-Man Games which we are looking forward to. Its a cooperative space survival game in which players need to join forces to fight a hostile alien race surrounding their ship. Even though the game includes a campaign of scenarios, players also have the option of using the modular components to create their own missions. Designed for 1-4 players, ages 13+. Director James Wan, who you may know from Furious 7 and Saw, has been signed for the upcoming Aquaman movie. Our first look at Jason Momoa as Aquaman will be in Batman v. Superman next year. What would a world where Earth was never hit by an asteroid and dinosaurs never became extinct look like? Take a look at the teaser trailer for The Good Dinosaur to find out. Zootopia follows the first bunny on the police force, Officer Judy Hopps, as she teams up with Nick Wilde, a fox who is framed for a crime he didn’t commit. Welcome to SCIU #61, for the weeks of May 18th – May 31st. 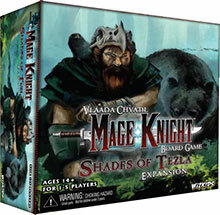 Mage Knight: Shades of Tezla – WizKids‘ third expansion for the hit Mage Knight features a new playable Mage Knight, Braevalar the druid, and two new Faction Leader Avatar dials. Also included are rules to increase the game to 5 players as well as new scenarios. The release is expected to be in July. The Sixth Gun RPG – Technically this title is still not funded as there is still 24 days to go on it’s Kickstarter campaign, but it’s LONG reached it’s goal. Based on the comic book series, the Sixth Gun RPG revolves around six mystic guns which give the owner unique powers until their death. Using the Savage Worlds RPG system players will battle over ownership of these weapons. Prohis – Prohibition is in full effect in Blue Orange Games’ Prohis. The players have to attempt to smuggler their contraband past the prohis. Players secretly choose their cargo and then will need to convince everyone else that what they carry is all legal. If challenged and caught, they may be able to bribe their way out. The player that smuggles the most valuable goods past the prohis wins. 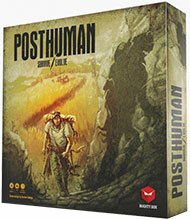 Posthuman – After a very successful Kickstarter campaign, Mr B Games will be releasing Posthuman in Q4 this year. Natural forces are over taking the world and mutants are hunting the remaining humans. Players will attempt to reach the fortress harbouring what is left of humanity or side with the mutants and deny victory to the others. The game is for 2-4 players with a play time of 30 minutes per player. Wired has released the first look at the warchief Orgrim from the upcoming Warcraft movie. The movies Orgirm CGI has been designed by Industrial Light and Magic while the character is played by Robert Kazinsky. Warcraft’s release date is set for June 10, 2016. Welcome to SCIU #60, for the weeks of May 4th – May 17th. 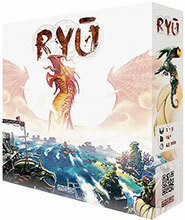 Ryu – The ancient dragon of legend, Ryu, is about to awaken and the players must now compete to construct their own statue to honour him. To do this they will need to explore the nine islands to find remains of other dragons for the statue. The game is designed for 2-5 players (13+) and plays in around 45mins. D&D Rage of Demons – WotC has announced that the next storyline will be Rage of Demons. Players will need to descend to the Underdark, team up with the iconic drow Drizzt Do’Urden, and prevent the demon horde before it reaches the surface world. The first book, Out of the Abyss, is scheduled for release on September 15th and will include information on the races of the Underdark, as well as settlements of mind-flayers, duergar, and derro to name a few. Firefly: The Game – Two additional ships have been announced by Gale Force Nine for their hit Firefly game. The first is the Esmeralda, a dedicated transport, designed and equipped to carry passengers in luxury. While the Jetwash is a large cargo hauler, equipped for speed and stealth. Don’t Turn Your Back – Welcome to the Mad City. A place where players will need to try survive by extracting dreams and bartering them with the “Nightmares” for favours. 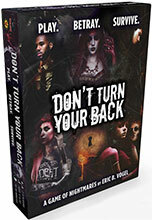 This deck building game by Eric B. Vogel takes place in the same setting as Evil Hat Productions Don’t Rest Your Head RPG. This week we get our first look at CBS‘s Supergirl. Another comic book-based series which they announced way back in September last year. The Supergirl trailer is over 6mins and seems to give a pretty detailed look at what we can expect from the series. Sticking with DC comic book-based series, is this awesome first trailer for CW‘s DC’s Legends of Tomorrow. The team line up of the Flash, Green Arrow, The Atom, Hawkgirl, White Canary, Firestorm, etc has us really looking forward to this series. Welcome to SCIU #59, for the weeks of April 20th – May 3rd. 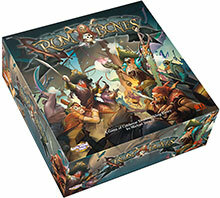 Rum & Bones – CoolMiniOrNot have released details of their plans for 15 products relating to their new Rum & Bones combat miniatures game series. The core set will launch in September, with a game play style similar to the multiplayer online battle arena (MOBA) games. Players will attempt to board and disable the opponent’s ship using their pirate crew heroes. The game raised almost $740 000 back in Dec of 2014. Blood Rage – Players take control of Viking clans during Ragnarok, with the aim being to gain the most glory in battle to secure their place in Valhalla. In addition to the core set there is already 3 expansion sets (5th Player Expansion, Gods of Asgard and Mystics of Midgard) planned for release this year. Star Wars TCG: Imperial Entanglements – Q3 will see the release of the 4th expansion to Fantasy Flight Games‘ Stars Wars TCG. The expansion focuses on the Imperial Navy and Smugglers & Spies, but all affiliations will receive cards. Included in the set is 26 new objective sets (two each of 12 sets plus one of each “limit one per objective deck”). B-Sieged: Sons of the Abyss – In the third CoolMiniOrNot announcement this week is the new “castle defence” style cooperative game. It’ll see up to six players attempting to protect the fortress of Modhelm long enough to allow the “Messenger” to escape and return with the ancient artefact to save the fortress. All while the endless hordes of the abyss storm the fortress walls. In the latest Fantastic Four trailer Fox gives a glimpse at the characters personalities as well as the primary villain, Doctor Doom. Attack on Titan is one of our favourite anime series and now the full English dubbed Attack on Titan trailer has been released. Even though it’ll most likely never see release in our theatres we’re still super excited for this movie. Welcome to SCIU #58, for the weeks of April 6th – 19th. 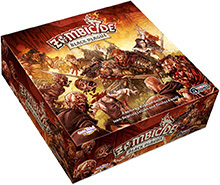 Zombicide: Black Plague – CoolMiniOrNot‘s Zombicide game as much as us, you’ll be excited to hear that they’ll be releasing a new medieval fantasy version of it. Necromancers’ have used their arcane powers to summon the zombie hoard and now the player will need to fight back as paladins, dwarves, knights, and magicians, who have swords, crossbows, and spells at their disposal. Unfortunately no release date has been announced yet. Descent 2E: Bonds of the Wild Hero & Monster Collection – The next instalment of Descent 2E will include four 1E heroes previously unavailable, namely Lyssa, Challara, Vyrah the Falconer, and Ronan of the Wild, as well as 18 new monsters. Also included are 2 new quests where in the heroes have to try discover the Tree of Life. Star Wars: Armada Wave2 – Yet another Fantasy Flight Games announcement, Star Wars: Armada will see its Wave2 expansion in Q3. Five expansion packs will be avaliable, but the highlight has to be the huge pre-painted Imperial-Class Star Destroyer commanded by Darth Vader himself. Awesome Kingdom: The Tower of Hateskull – As children of the 80’s, Kevin Wilson‘s new Awesome Kingdom: The Tower of Hateskull appeals to us massively. 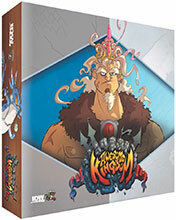 Inspired by 1980s Saturday morning cartoons, Awesome Kingdom is a tongue in cheek, satirical spin of the traditional “dungeon crawl” style adventure games. Players will compete to see who can exit the dungeon with the most amount of loot and be declared the “most awesome” hero. For 2-4 players ages 10+. While a bad quality copy was released online early, the official Batman Vs Superman trailer is now live. Batman’s mechanical suit and the awesome “Do you bleed?” line have us super excited for this 2016 release. July 17th sees the release of Marvel Cinematic Universe‘s Antman. In this trailer you get to see the first look of Antman himself and YellowJacket, as well as tons of action and humorous dialogue. During the KickStarter campaign for the 3rd season of Geek & Sundry‘s TableTop it was promised that a RPG spinoff show would be produced. Well the time has come. On June 2nd Titansgrave: The Ashes of Valkana, utilising Green Ronin’s unreleased Fantasy AGE system, will be available on their Youtube page. Welcome to SCIU #57, for the week of November 10th. 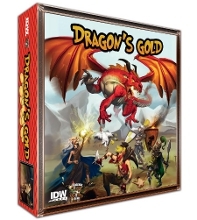 Dragon’s Gold – Bruno Faidutti’s 2001 card game is finally being released in the USA by IDW Games. Surprisingly the hard part is not slaying the dragons, your team of dragon hunters are great at that, but deciding how to split the loot afterward. Players will need to decide within 60 seconds how to split the gold and magical objects. Marvel HeroClix: Avengers Assemble – WizKids is staying on top of the Avenger hype by releasing Marvel HeroClix: Avengers Assemble in Q2 2015. It’s feature 71 characters from the current members of the Avengers as well as classic villains. Star Munchkin Deluxe – For those of you who loved the Munchkin Deluxe box set, you can soon own the Deluxe version of Star Munchkin too. The box includes 168 cards, a unique six-sided die, a rule sheet, a board, and standees. Legendary: Villains – Fear Itself – Upper Deck has announced the first expansion for it’s core box reboot Legendary: Villains. It includes 100 new cards, which feature six new Allies (Kuurth, Nul, Skirn, Nerkkod, Greithoth, Skadi), eight new “The Mighty” Adversary group (Spider-Man, Black Widow, Iron Fist, Wolverine, Ms. Marvel, Hawkeye, Red She-Hulk, Doctor Strange), and a new Commander (Uru Enchanted Iron Man). It’s been almost 9 months since the end of season 2, but TableTop season 3 is returning to Geek & Sundry on November 13th. Take a look at this list of games which will be played by Will Wheaton and friends. The second trailer for Avengers 2: Age of Ultron has been released. It gives us an extended look at the Hulk buster scene, Hawkeye, Quicksilver, Scarlet Witch and more dialog by Ultron. Margot Robbie is in talks to play the role of Harley Quinn in the upcoming Suicide Squad movie. There are rumours for the other character roles too, but we’ll have to wait and see for sure. Welcome to SCIU #56, for the week of November 3rd. 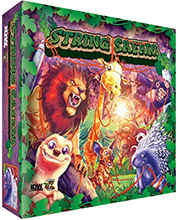 String Safari – The latest title from IDW Games & Trains designer Hisashi Hayashi has players competing to rope the most exotic animals for research purposes. The game contains two sets of rules for beginners/younger players and a more advanced set. The game is developed for 3-5 players and plays in 30 minutes. Pandemic: State of Emergency – The latest expansion for Z-Man Games’ hit title features three new challenges. The Superbug Challenge is a fifth disease that is immune to the current treatments. The Hinterlands Challenge sees viruses jumping the species divide from animals to humans. And lastly the Emergency Events Challenge which is all about unpredictable events to keep the players on their toes. X-Men: Mutant Revolution – The Phoenix event has occurred and now players must take on the roles of Wolverine, Cyclops, Magneto, or Storm in order to recruit heroes and students. Once trained these heroes will battle for the fate of mutant-kind. The gameplay is based off Spartacus: A Game of Blood and Treachery and is intended for 2-4 players, age 14+. 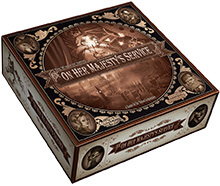 The World of Smog: On Her Majesty’s Service – This steampunk board game, by CoolMiniOrNot, is currently seeking funding on Kickstarter. Players are gentlemen who must explore the underground shadow market in order to acquire four Artefacts for Queen Victoria. The game board is made up of 12 rotating tiles which produce an every changing maze. Warner Bros has finally released the main trailer for the upcoming The Hobbit: The Battle of the Five Armies. It opens in theatres on December 17th. Seems Marvel is serious about taking action on the person responsible for the leaked Avengers: Age of Ultron trailer. User “John Gazelle” uploaded the trailer to Youtube the week before Marvel was intending to premiere it. They have no gotten a subpoena issued to Google to provide them with the user’s information and IP. Welcome to SCIU #55, for the week of October 27th. 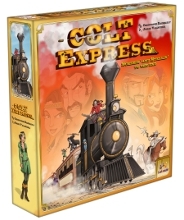 Colt Express – Asmodee Editions will take you back in time to 1899 where players will assume the role of bandits trying to steal loot from the Union Pacific Express. All actions are locked in at the start of the round and then taken in order. The game contains a 3D train model, 6 pawns, tokens and lots of cards. For 2-6 players, ages 10+ and plays in 40 minutes. Paranoia RPG – Paranoia RPG was a major hit back in the 80s. It even was inducted into the Origin Awards Hall of Fame in 2007. Now Mongoose Publishing is attempting to reboot it. Seeing as how they surpassed their Kickstarter goal in less than 24hrs, I’d say it’s a good sign. The game has updated 21st Century elements and should be available to trade in Winter 2015. Dominion Expansion – A yet-to-be-titled Dominion expansion has been announced by Rio Grande Games. It’ll be released in a large box format with over 400 cards included. Release is set for late Autumn with additional offerings to follow later in 2015. 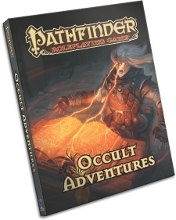 Pathfinder: Occult Adventures – This new 256 page hardcover book will add six new character classes (the kineticist, medium, mesmerist, occultist, psychic and spiritualist), new thematic archetypes to the current base classes and spells. Concepts such as possession, psychic combat and ki will also be included. Paizo Publishing have it tagged for release in July 2015 but it is currently available for play testing. Unfortunately the deal between Joaquin Phoenix and Marvel fell apart earlier this month, but according to Deadline they (Marvel) are now in talks with Benedict Cumberbatch to take over the role of Doctor Strange. During Tuesday night airing of Marvel’s Agents of S.H.I.E.L.D. a new trailer was released for the Avengers: Age of Ultron. It includes a new intro in which the heroes kick back for the evening and attempt to lift Thor’s hammer, Mjölnir.